A mother was recently awarded $4 million in wrongful death claim against Lancaster Pediatric Associates in Pennsylvania. The doctors handling the case failed to correctly diagnose the child’s whooping cough. The child died in 2010, but the complaint wasn’t filed until 2016, 6 years after the infant died. The mother accused Lancaster Pediatric Associates of medical malpractice. Her lawyers argued that the doctors should have known that whooping cough was a possibility because the child’s mother described having symptoms herself. Doctors can vaccinate against whooping cough, but the vaccine loses effectiveness as we age. Newborn babies who have not been vaccinated are at the highest risk of contracting the disease. They also have the highest risk of potentially fatal complications. In this case, the child was not old enough to have gotten her vaccinations yet. This lawsuit, however, took place in Pennsylvania and not Florida. Each state sets their own rules for medical malpractice litigation. Wrongful death lawsuits are an extension of medical malpractice Florida’s laws tend to make litigating medical malpractice claims more difficult. In Florida, the statute of limitations on wrongful death lawsuits resulting from medical malpractice is two years from the date the medical malpractice occurred. That’s not out of the ordinary. There are, however, a number of exceptions to the statute of limitations, especially in regards to medical malpractice. In other words, just because two years has passed since you believe the medical malpractice occurred, it is still beneficial to speak with an experience attorney. Florida requires that a personal representative of the deceased’s estate file a wrongful death lawsuit. But what happens when it’s an infant who dies? In cases like these, a personal representative is assigned by the court. The wrongful death lawsuit is actually filed on behalf of the infant’s estate. The personal representative then lists individual survivors that have a stake in deceased’s estate. For example, a grieving mother would have a stake in her infant’s estate. This remains true even if the infant was never carried to term. 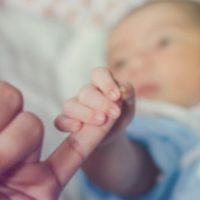 If the child has been lost due to medical malpractice or some other negligence claim, the parents can file a lawsuit on behalf of the unborn’s estate. In this case, the parents can sue for economic damages related to burial and funeral expenses. They can still sue for emotional anguish and loss of companionship. Wrongful death resulting from medical malpractice, especially when an infant is involved, can be especially complicated and it is important to know you are getting sound legal advice when contemplating litigation. If you need a medical malpractice attorney, Palmer Law Firm, P.A. of Tampa, Florida can help you get the result you deserve. Give us a call or contact us online and we can begin preparing your case immediately.